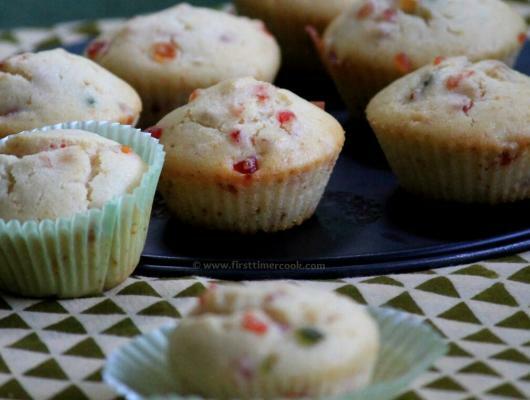 The eggless tutti frutti muffin is an excellent one and can be used in snacks / breakfast. Yogurt is used as a substitute of egg here. Adding tutti frutti enhances the taste of the dish which results in a much colorful and yummy sweet bake dish and hence will be liked much by kids. These muffins are very delicious and extremely moist and soft.